The European Regulation for construction products (EU) 305/2011, which from 1 July 2013 substitutes the construction products Directive 89/106/EEC, introduces new tools to promote the free marketing of construction products within the European single market and the improvement of the information on products characteristics and performances. 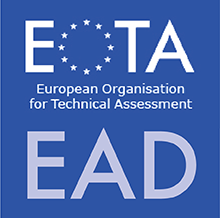 The European Technical Assessment-ETA is the document which provides information on the technical assessment of performances of a manufacturer’s product or kit regarding the essential characteristics which are applicable for the use foreseen by the manufacturer. The ETA is elaborated in accordance with the European Assessment Document-EAD, which covers the product and its intended uses. 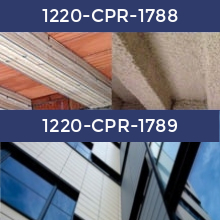 Are not covered or not fully covered by a harmonised technical specification: harmonised European standard, EAD or ETA Guideline used as an EAD. Are covered by an EAD or an ETA Guideline used as an EAD. 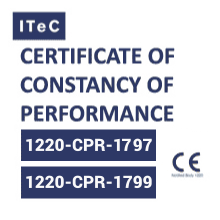 The ETA and the consequent CE marking facilitate the marketing of non-standardised innovative products both on the European and the non-European market (in the latter of non regulatory nature, but with successful technical and commercial acceptance). How to elaborate an ETA? The ETA elaboration process begins with the manufacturer’s request to a Technical Assessment Body-TAB, designated according to the Product Areas foreseen in Annex IV of the Regulation, for the product and use requested by the manufacturer. ITeC, member of EOTA, has been authorised for the assessment of non-standardised innovative products since 1996 and has been designated as a TAB under the new Regulation 305/2011 since March 2013 for all Product Areas foreseen in the Regulation. By the elaboration of an EAD, when a product is not covered or not fully covered by a harmonised technical specification. Note: the European Technical Approvals issued before 1 July 2013 are valid during their validity period, in accordance with Art. 66(4) of the Regulation.